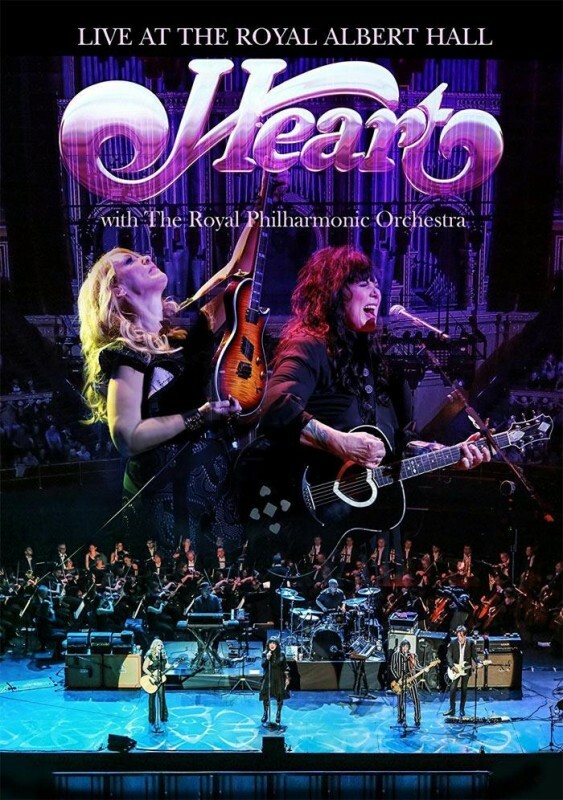 This multi-format release captures Heart's first appearance at London's prestigious Royal Albert Hall which was part of their 2016 summer tour. Not only was it their first visit to the venue, but to make the occasion even more spectacular, it's also the first time the band had played with an orchestra – in this case the Royal Philharmonic. Seattle's Wilson sisters seem to be like a fine wine – they just get better and better with age. Ann Wilson's vocals are as strong as ever and Nancy Wilson's guitar playing weaves a beautiful spell and mixes well with fellow band member Craig Bartock's more exuberant playing. It's obvious from the start that as the first few notes of 'Magic Man' kick in, the sisters are excited about this gig and that energy comes through in the music. The set-list encompasses a good spread of Heart's extensive back catalogue whilst also dipping into new material from the recent 'Beautiful Broken' release. The camera and sound work on this release really bring out the magnificence of the Royal Albert Hall, both acoustically and architecturally, as well as showing the band very naturally with no odd camera angles or special effects. The orchestral re-arrangement of 'These Dreams' works extremely well as the string sections ebb and flow and the Wilson sisters' vocals power over the top. Another re-worked track, 'Heaven', receives equally spine tingling orchestral greatness and is visually enhanced as Nancy Wilson attacks her acoustic guitar in a Led Zeppelin-esque way with a bow. Of course, 'What About Love' and 'Alone', both epic in their own right, also have the Philharmonic makeover and sees the vast majority of the crowd singing along. The band are not all strings and ballads here though, as they prove their Rocking heart (no pun intended!) is still pumping as they zip through 'Crazy On You' and new album title track 'Beautiful Broken'. The latter was, in fact, co-written by the Wilsons, Ben Mink and a certain James Hetfield! We also get a taste of the more traditional six-piece Heart as they return for their encores and pound out 'Barracuda' and closer 'Kick It Out'. This band are certainly still going to be creating new music for a while to come yet, and whilst their set may be a little shorter timewise than some of their peers, the quality of the show is beyond reproach. This DVD has managed to capture the flavour of this occasion very well and also includes a bonus interview with the band. If you can live without seeing this visual spectacle, then you can also get it on CD. Let's hope Heart return to these shores again very soon.